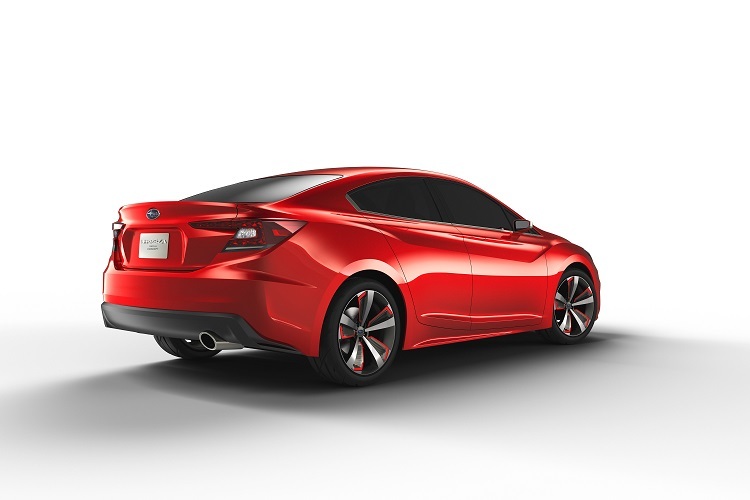 Subaru today premiered its second Impreza concept in quick succession, unveiling the sedan version at the 2015 Los Angeles Auto Show. It follows the Impreza hatch concept unveil at last month’s Tokyo Motor Show. 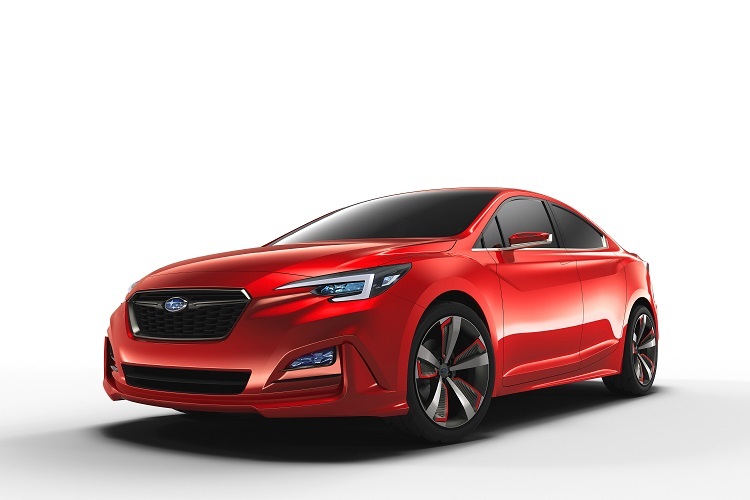 The sedan previews themes for the next-generation Impreza, which will be the first of Subaru's next-generation strategic vehicles envisioned in manufacturer Fuji Heavy Industries Mid-Term Management Vision "Prominence 2020", announced in May 2014. Positioned as an entry model in the Subaru line-up, Impreza sedan concept’s compact body features a blend of bold expressions of Subaru's dynamic and solid design elements and a quality feel beyond its class. It hints at the design direction not only of next Impreza, but of Subaru's future models generally. Outside, dynamism is enhanced by the character lines of the compact sedan, which also achieves excellent aerodynamic performance. The concept features a new colour, Ruby Red Metallic, expressing a sporty and energetic character. Glossy black accents add to the concept’s quality feel. The low and wide stance adds to the sporty impression, underlined by the classic Subaru hexagonal grille and hawk-eye headlights. The rear combination lights share the same motif as the headlights.